The Hoover Type Y bags fit all Hoover WindTunnel models. Please be sure you have a WindTunnel model and see your model number listed below before placing an order for these Hoover vacuum bags. 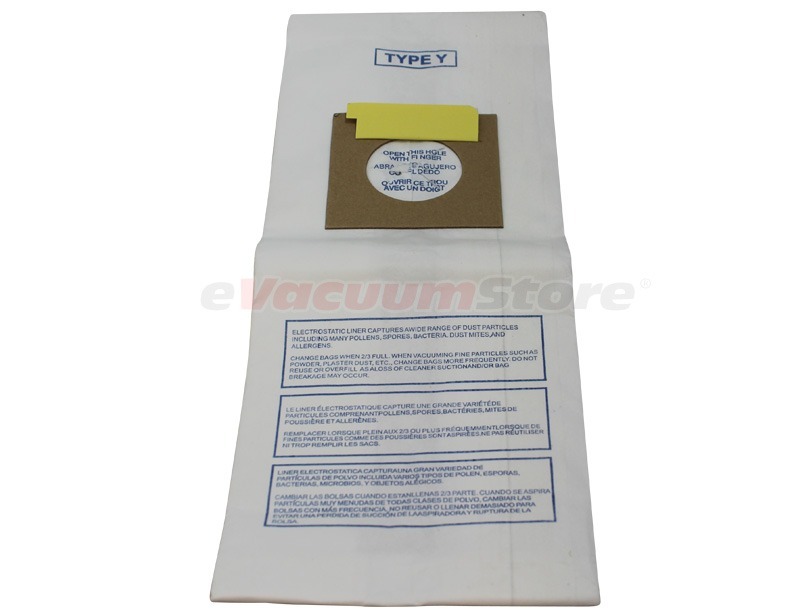 Aside from this 3 pack of generic replacement bags, we also offer genuine Hoover type Y vacuum bags, as well as a reusable cloth bag, so you don't have to purchase replacements. For more information, or to order over the phone, please call (866) 972-8227. Answer:We do not, we sell the Hoover genuine style Y which are the high efficiency filtration bags.